Beautiful beaches stretching for almost 9,000 km located mostly in the tropical zone of the southern hemisphere, means that you can enjoy the sun in Brazil 365 days a year. Discover urban and wild beaches, dunes, islands, reefs, bays, cliffs, mangroves and sandbanks. Brazilian beaches will delight you with more than just a tan. Imagine an endless summer! 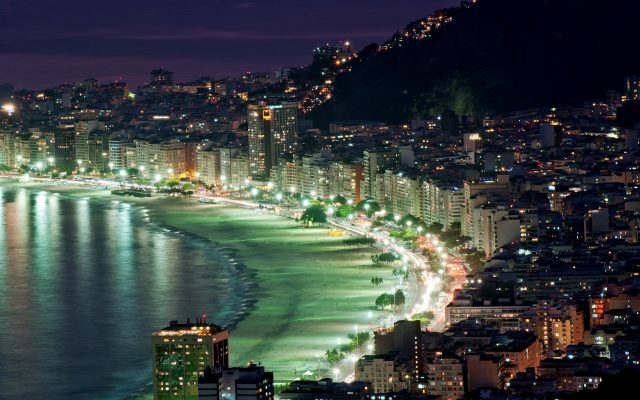 If you like a bit of buzz, then you can choose a beach in large cities such as Rio, Florianopolis, Recife or Salvador. If you like a more tranquil and calm environment, Brazil has paradise beaches tucked away from the busy metropolises, on the island of Fernado de Norohna, Sao Miguel dos Milagres, Maragogi, Itacare or Jericoacoara. Those are just some of the hundreds of beaches waiting to be explored in Brazil. In many places you could choose a quieter beach during the day and a livelier one in the evening. Talk to us about your ideal beach! Travelling across Brazil and discovering its culture is a real journey back in time, understanding the different influences that have shaped it into the country it is today. The powerful diversity of Brazil is expressed in its lively dance and music, its bold and irresistible gastronomic flavours, in the emotional religious manifestations, in the colourful and explosive art of the indigenous and immigrant communities. Modern Brazil has been created through many international cultures, from the indigenous Indians who lived here for thousands of years, to Portuguese, Dutch and French colonisers. Not to mention a strong influence from African descendants. The Museum of Immigration in Sao Paulo is a great place to visit to grasp an idea of how diverse this country is. To embrace the Brazilian culture is an enriching experience and an opportunity to learn the meaning of this famous word with deep roots in the Brazilian soul – saudade. There are numerous UNESCO Heritage Sights throughout Brazil which are a must-see. For example the historic cities of Minas Gerais, Olinda with its Dutch heritage, Sao Luis which was founded by the French, Salvador with its strong African vibe, the European South and many other important sights. 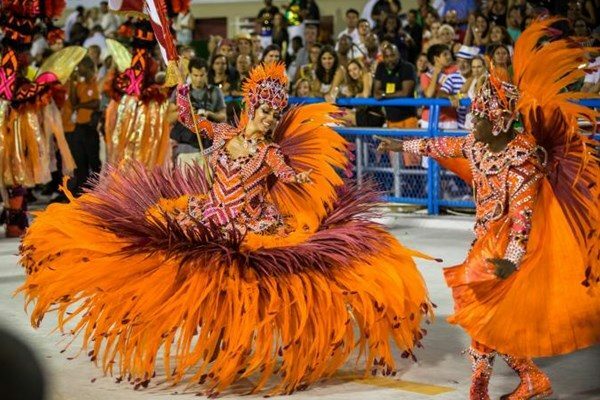 There are many unique regional festivals worth attending, for example the Parintins Folklore Festival in the state of Amazonas, the Saint John’s Feast in Campina Grande in Paraiba, Boi Bumba celebrated in the North and the Northeast, Festa Junina, to name just a few! Enjoy the flavours of feijoada, feel the energy of guarana and tucupi, dance samba, witness expressions of faith and devotion from different religions – unforgettable experiences which will make you fall in love with Brazil over and over again. This is how you’ll start to feel saudade and it will make you want to return to Brazil! In Brazil nature is exuberant and offers plenty of opportunities to explore. Even the most experienced travellers will be swept off their feet by Brazil’s amazing biodiversity. This country of continental proportions, will ensure something for everybody. There are five main distinct regions: the tropical savannah of the Cerrado situated mainly in the central part of Brazil; the Pantanal – the largest wetlands on the planet, a UNESCO sight with perfect opportunities to watch flora and fauna situated in the south-west of the country; the Caatinga which only occupies 10% of Brazil situated in the north-east with many species characteristic to the semi-arid climate; the Amazon Rainforest which occupies the most territory of Brazil will enchant you with its tall trees and tranquil rivers; the Atlantic Jungle stretching along the Brazilian coast together with endless beaches, reefs and bays. 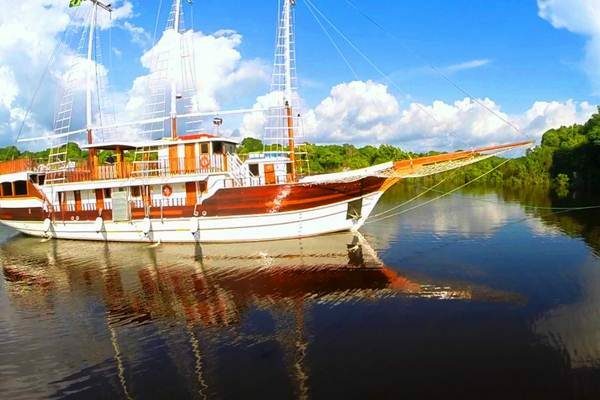 We can organise shared or private tours and excursions throughout Brazil, whether it’s visitingthe dunes and lagoons of Lencois Maranhenses; the powerful Iguassu Falls; trekking trips to enjoy countless waterfalls and lakes in the four chapadas of Brazil and Roraima; escapes to the island of Fernando de Noronha; whale-watching in Santa Catarina; visiting the clear waters of Bonito; cruising the Amazon; climbing in Serra do Cipo; horse riding or fishing in the Pantanal; kitesurfing in Jericoacoara; visiting the natural pools in Porto de Galinhas and Maragogi… plus many more natural attractions! Do not hesitate to inquire about your special interests ahead of visiting Brazil. Brazil is known worldwide for its football and football players who show their sway and their art on the international fields. However, there is more than just football in Brazil. In a country where most of its territory is situated in low latitude areas, where hot and humid climates prevail (average temperatures are around 20⁰C), a coastline of over 7.300km and different ecosystems with mountains, rivers, lakes and forests, there are many sports to be practised here. Strong winds throughout the coast create perfect conditions for practising numerous water based sports such as sailing and yachting (Ilhabela – the largest marine island in Brazil), kite surfing and windsurfing (Joao Pessoa, Jericoacoara). Surfers will have a chance to practice proroca – surfing for hours the waves created at the Amazon River mouth, where river currents meet the oceanic waters. The rich biodiversity creates excellent conditions for river and ocean fishing, as well as for diving (Fernando de Noronha, Bombinhas, the marine park of Abrolhos in the south of Bahia). Peaceful bays and rivers will invite you for canoeing. The blue skies and excellent weather make hand gliding, paragliding and ballooning very popular, especially in Rio. Mountaineers and climbers will have plenty of opportunities to go climbing, trekking and biking, especially in the four chapadas of Brazil in the states of Matto Grosso, Goias, Bahia and Maranhao, but also in the South and North of the country. Open, landscaped areas offer amazing opportunities for golfing in the middle of the nature, especially in Trancoso. In a country with a strong beach culture, sports go a long way. You can practice frescobol, beach football and volleyball all over the coast of Brazil. There are numerous places where you can practise horse riding, especially in the Pantanal. Sports develop the body and mind, while boasting socialisation. It encourages new ideas, techniques and the chance to meet different people. You can enjoy the beautiful scenery of Brazil as a backdrop, whilst pursuing a number of wellbeing activities whilst on your holiday. Brazil is considered to have the greatest biodiversity in the world, much more than any other country. The numbers of plants, freshwater fish, mammals, birds and reptiles is outsanding. There are many endemic species as well. Given the vast area of the country, there are many ecosystems and a wide variety of wildlife specific to each of them. The main regions to visit for wildlife lovers, are the Amazon Rainforest, the Pantanal – the world’s largest wetlands, the Atlantic Forest (Mata Atlântica) and the tropical savanna of the Cerrado. If you can’t wait to spot a jaguar, swim with the pink dolphin or to go on a bird watching trip – we can organise it for you! Some of the most vivid celebrations in the world are taking place in Brazil each year. For more information, please see our Something Special Page.